Good news for fans of the original MTV True Life, which ran its course over 22 seasons and finally came to a close in 2017: the award-winning team behind that legendary show are back with True Life/Now. 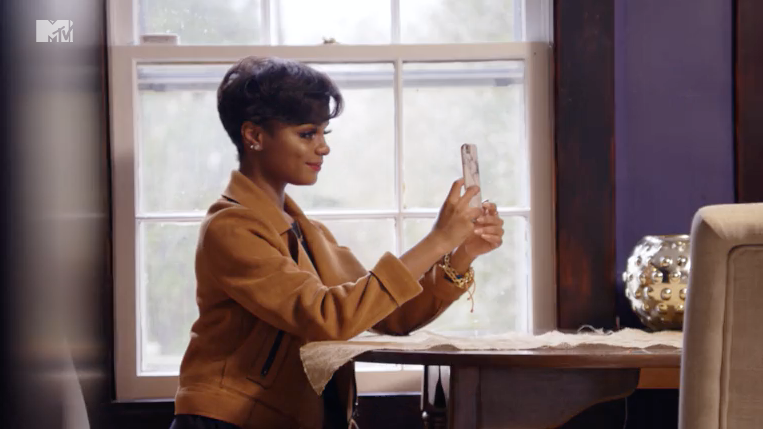 In a similar docuseries approach, MTV's True Life/Now examines the challenges of real people who struggle to cope with today's all-encompassing social media environment. 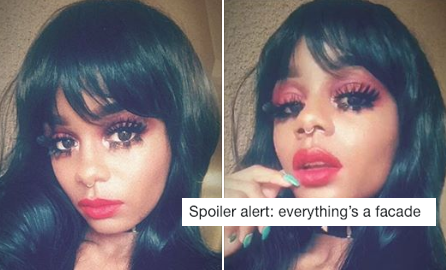 And tonight's episode will dive in part into the life of Javonda Hughes, a 22-year-old beauty stylist who's fully obsessed with looking like a Snapchat filter. So much so that she never posts a photo of herself that isn't heavily edited. Although it pains her twin sister Javonne to see Javonda so consumed by her goal to look like a filter, the stylist won't stop at anything to become "anyone else than who I was." "My insecurities about my face started back in middle school," Javonda tells the camera in a teaser clip ahead of tonight's episode. She chalks most of her physical insecurities up to "the whole race issue." "I hated being black, I hated the way I looked, so much," she reveals. Around high school, she discovered the ever-pervasive filters available on social media platforms like Snapchat and Instagram. 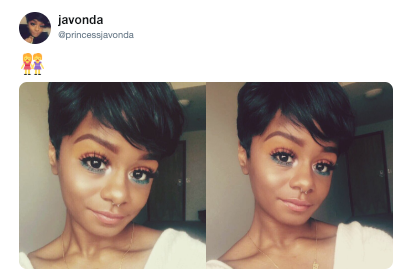 "Things started to change" for Javonda at this time, who "started feeling a little better about myself" — but today, she still wishes she could "look like my filtered self in real life." After high school, Javonda decided to pursue her passion for beauty and makeup, first enrolling in Paul Mitchell's beauty school and eventually making a name for herself as a cosmetologist. "I just love makeup and hair and everything related to it," she says in the clip, while the cameras follow her through BeautyCon, "the place [she] need[s] to be." "It wasn't just about the color of my skin. It was also about the features I was born with," Javonda explains. "Commonly, black people have wider noses and so I would look at myself versus other people of other races, and that's definitely when I started disliking [my face] immensely. When I first started wearing makeup, I definitely wore it to change myself." These days, Javonda never posts a picture without a filter. She likes what these do to "my cheekbones and like, my jawline" and adds that they make her nose "a little bit slimmer, which I want." According to Javonda, when you use a Snapchat filter, "it's almost like you're not human." Instead, "you're a beautiful, flawless, bright-eyed baby." But Javonda isn't the only person who suffers from what doctors are now terming "Snapchat dysmorphia." According to a recent study, several plastic surgeons have recently been encountering requests to transform patient's faces into snapchat filters. According to the study, Snapchat Dysmorphia refers to social media's impact on patients' choice of plastic surgeries. Whereas surgeons became accustomed to receiving print-outs of celebrity lips or nose jobs a decade or two ago, more and more are reporting that these days, patients arrive instead with a filtered image of themselves they'd like to approximate more in their real-life appearance. The American Psychiatric Association is classifying this Snapchat and Instagram-based obsession in the larger spectrum of Body Dysmorphic Disorder, or BDD. The study asserts that plastic surgery is not the right treatment option for these patients, who account for 1 in 50 Americans. Instead, proper management should include counseling and therapy, rather than a surgical procedure. See what Javonda looks like today. 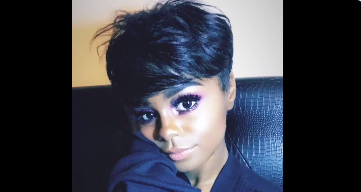 Javonda AKA @princessjavonda on Twitter and Instagram tweeted "I miss who I used to be, but I'm also rly excited to see who I'm becoming," just a few months ago. If you'd like to see what she's looking like since filming for MTV and moving to LA, click on those links or visit her Facebook page here and Flickr account here. Don't miss Javonda's episode of True Life/Now on MTV tonight at 10 p.m.